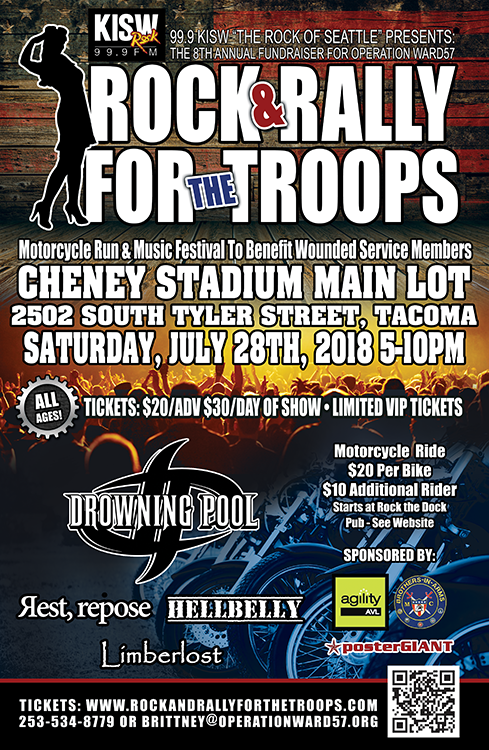 On July 28th, 2018 99.9 KISW" The Rock of Seattle" presents the 8th Annual Rock & Rally for the Troops - a Fundraising event in Tacoma, WA. 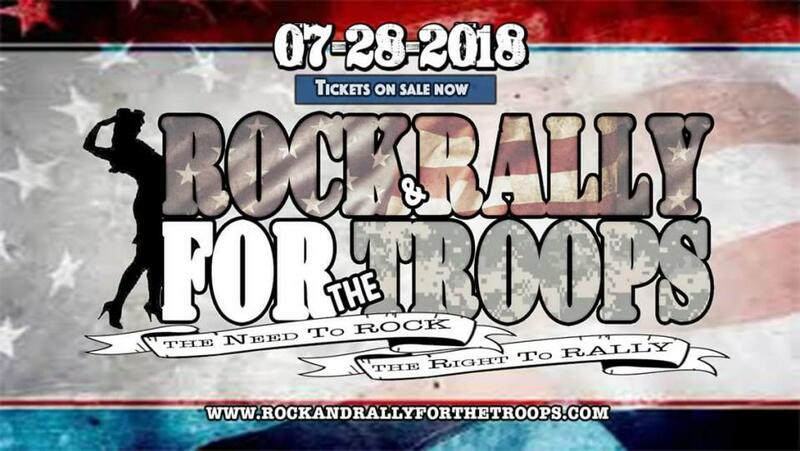 The event will benefit wounded service members, their loved ones as well as those that aid in their recovery through the programs of Operation Ward 57, a non-profit that supports wounded warriors. Tickets Purchased in advance can be used as proof of paid entrance into the Motorcycle ride earlier in the day. Motorcycle riders can also wait until the day of to register on site for the ride. Participation in Motorcycle Run allows access to festival as well. See the website for route and more details. Bike Ride Route & Registration: Information Coming Soon. See the website for route and more details. This event will have limited seating available - feel free to bring a travel chair or beach chair with you to the event.